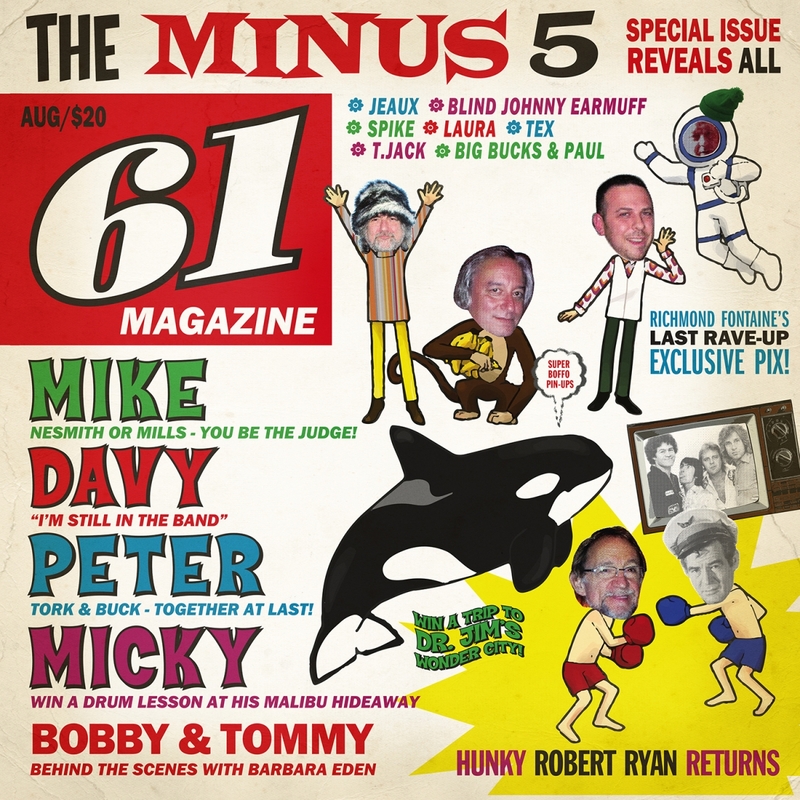 Yep Roc Records is pleased to announce the release of The Minus 5's Of Monkees And Men on LP and CD August 19. The album is available for pre-order now, which includes free shipping. What can I say, this album is a MASTERPIECE. Yep Roc also captured this old Monkees fan going on about the group, and the Minus 5 album, and even strumming a few tunes in a bike shop, on the latest edition of the Sawyer Sessions. For those of you familiar with the Scott The Hoople box set, this album might seem like old news to you. But let's face it, there aren't that many of you out there - I mean, there were only 750 copies made. This slightly updated version of the LP (yes, couldn't help it, added a few bits and re-mixed three tracks), coincides of course with the 50th Anniversary of the Monkees, and why not celebrate it? By the way, if you haven't heard the new Monkees record Good Times!, it is fantastic, go get it!